Click on 3D Tour Welcome to 760 Westyn Bay Blvd. 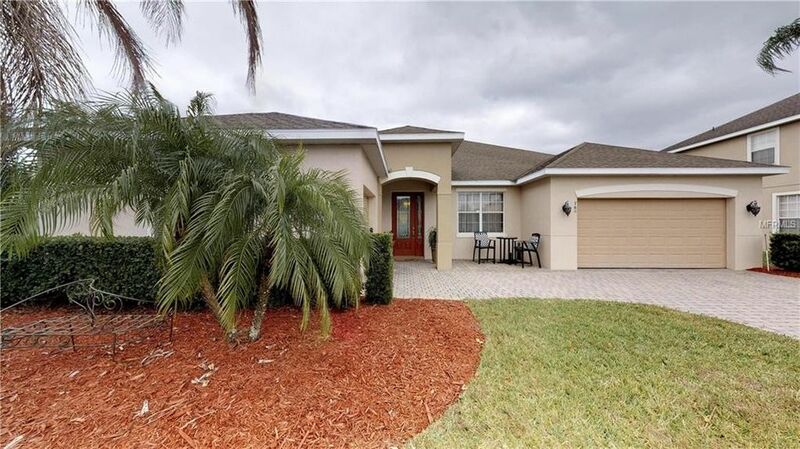 Through the 24 hour guarded gate you enter into Westyn Bay, a well appointed community with tennis and basketball courts, a community pool, clubhouse, and dock overlooking Lake Apopka. After you park in any of the 3 car garage spaces on your large corner lot you enter into your wonderful 4 bedroom pool home that shows like a model. The open Living area and Kitchen is a great gathering place for all of your guests. The newly built, 2015, pool, deck and screened enclosure remind you of a resort. The 3 way bedroom split in this home is perfect for a large family that requires individual space, or for a small family that welcomes out of towners often. There is an Office/Den/Dining Room at the front of the home with French doors. Inside laundry room, 1 2 car garage and 1 1 car garage, built in desk in kitchen, fully fenced back yard, and walk in closets in the Master Bedroom are just a few of this homes many features. The beautiful kitchen with large island offers granite counter tops, 42 cabinets, and stainless steel appliances as well as seating at the kitchen bar. A perfect Kitchen for entertaining! No carpet in this home at all, ceramic tile on floors in living areas and wood flooring in the bedrooms. Make your appointment now to see this gem before it's sold. Directions: From 429 and West Rd. Go west on West Rd. Cross Ocoee Apopka and take 2nd right to guard entrance. Through guard gate take a right at the 2nd stop sign onto Westyn Bay NBlvd. House is immediately on the left, 760 Westyn Bay Blvd.